At MES we provide service that matters to agricultural, residential, and commercial clients. One large-scale commercial project we recently completed was at a hometown bank in Dubuque, IA. 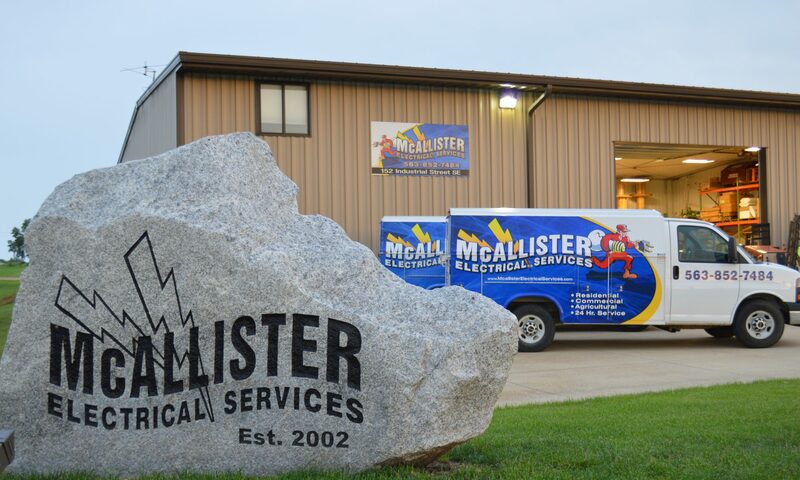 McAllister Electrical Services was proud to help with the complete renovation of the downtown branch of Premier Bank, and we want to show you some of the progress photos. Continue reading "7 Tips (and 1 Bonus) for Maximizing Energy Efficiency at the Holidays"
Garryowen Catholic Church in rural Bernard, Iowa, was founded in 1840 by Rev. Samuel Mazzuchelli and is on the National Register of Historic Places. MES was called to help with their renovation in 2015, in order to make this 150+ year-old building into a 21st Century, energy-efficient structure. Farmers and ag-industry businesses are always looking for ways to be good stewards of their land and promote energy-efficiency. In this entry of the MES Spark Blog, a farmer in rural Bernard, IA, installs a solar panel to power his hog operation.